Simo is an Associate Professor of Fire Safety Engineering at the Department of Civil Engineering of Aalto University, Espoo, Finland. He is responsible for the fire engineering related courses and supervision of master and doctoral theses. The research topics range from the fundamental research of pyrolysis to the applications of the fire safety engineering methods in performance based design, fire barrier reliability, and pressure management. He is currently the director of the Building Technology Master’s programme. 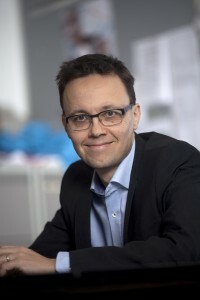 Before joining Aalto University in 2014, he worked as a research scientist at VTT Technical Research Centre of Finland, focusing on the numerical fire simulation techniques and the probabilistic methods of fire risk analysis. He is known as one of the principal developers of the Fire Dynamics Simulator software.